Hello! 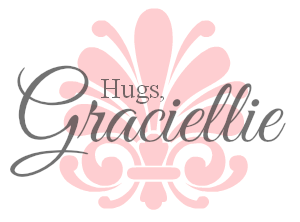 Today I want to share with you a project I made with Ewe-n-Me Printables! 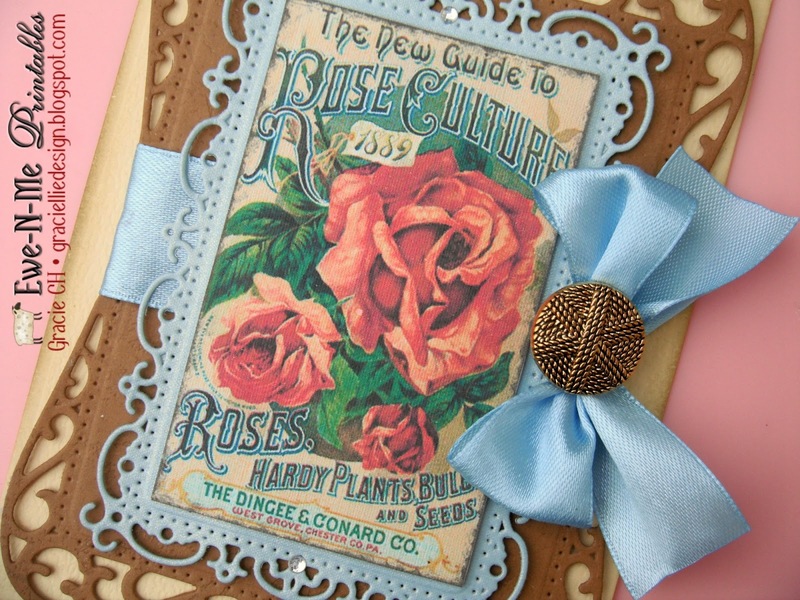 This time, I made a vintage card, using their Collage Sheet – Roses. These images are beautiful, and they print so bright and pretty… Love them! I used an unusual color combination to make this card and I love how it resulted. It really looks vintage and lovely. I couldn’t resist adding a gold vintage button to the blue bow to finish my design. I printed the digital image on white linen cardstock. The die cuts I used framed the image very nicely. I used light brown leather textured cardstock and light blue metallic cardstock for the frames. The yellow cardstock used for the card base is lightly textured and it’s called Hawaii where I live. I altered the largest frame to make it shorter. I basically cut it in half and adhered it again trying to get the right height for the front of the card. I ran across the middle of the frame a piece of blue satin ribbon and embellished it with a bow. This trick helped cover the die cut alteration. I hope you liked my card. The collage sheet has so many pretty images, you could very easily make a complete set of cards. Oh wow this is just so beautifully vintage. Loving the scrumptious blue ribbon. Wishing you a wonderful weekend with a little time to put your feet up and relax. Beautiful vintage card. The colors work well together. 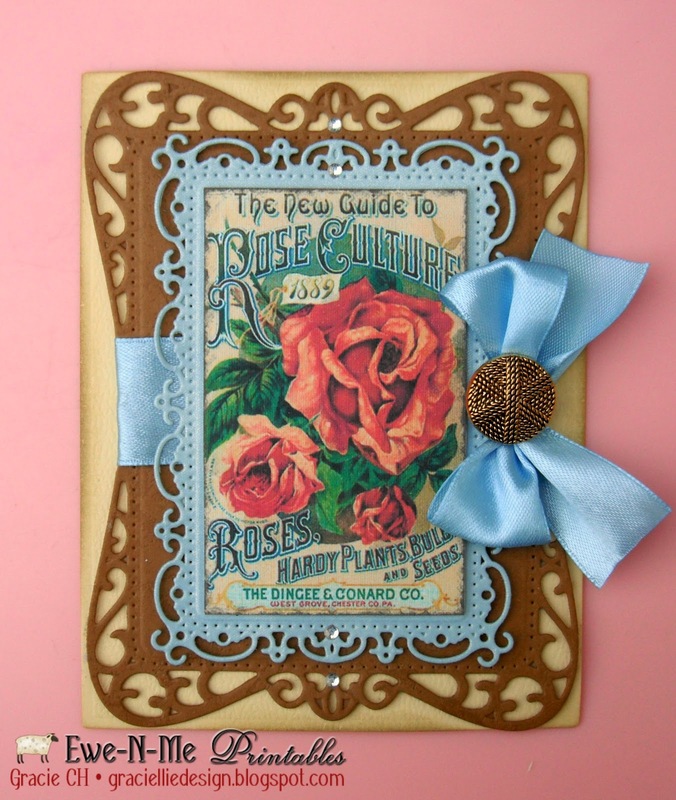 I just love how you can combine dies and ribbons and textures in such beautiful ways! Your ability to create is truly amazing to me.